Kristina O’Connor writes fiction and nonfiction, and has been writing since childhood. Her stories explore humanity, arts, and social justice. She has over 10 years’ experience as a social worker and registered nurse working with at risk populations, including senior citizens and underserved adults with physical disabilities and mental illness. She wears many hats: full-time nurse, wife, and mother, as well as participating in a women’s writing workshop. 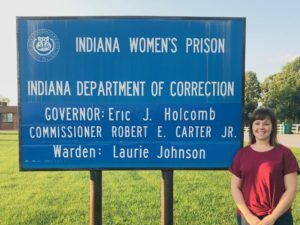 She is a volunteer instructor for Indiana Prison Writers Workshop, shaping curriculum and mentoring incarcerated men at Plainfield correctional facility as they find their unique voice and share their stories. Harold “H.B.” Bell is the Co-Founder/Marketing Director at Community R.U.L.E. (Reading, Understanding, Learning, and Education) Programs 501(c)3. H.B. 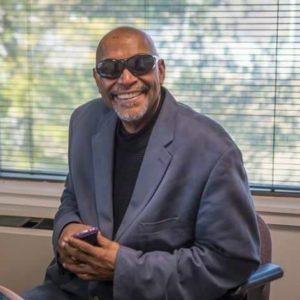 utilizes his multi-faceted marketing and promotion skills to generate resources and visibility for non-profit organizations, small businesses, and faith based groups. H.B. 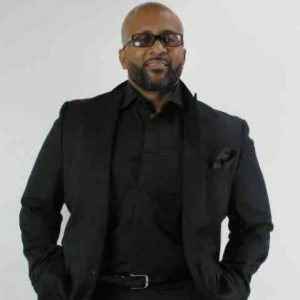 also finds the time to serve as President/CEO of Jumbo Promotions, President/CEO of 4 internet radio stations, www.radionext.tv., and is host of a live talk/jazz internet broadcast, The JumboLove Show. If that wasn’t enough, Harold graduated in May 2014 from IUPUI with a Bachelors Degree in Liberal Arts. Learn more here. James Officer is an author, trainer and keynote speaker. 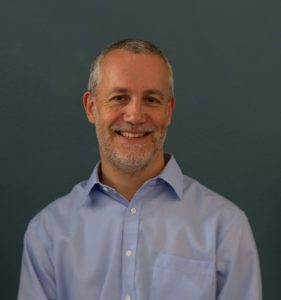 James has spent his entire career serving adult learners as a trainer, a coach, and a leader. Learn more here. 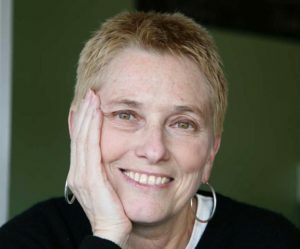 Barbara Shoup is the author of eight novels, including Night Watch, Wish You Were Here, Stranded in Harmony, Faithful Women, Vermeer’s Daughter, Everything You Want, An American Tune, and Looking for Jack Kerouac and the co-author of Novel Ideas: Contemporary Authors Share the Creative Process and Story Matters. Her short fiction, poetry, essays, and interviews have appeared in numerous small magazines, as well as in The Writer and The New York Times Travel Section. Her young adult novels, Wish You Were Here and Stranded in Harmony were selected as American Library Association Best Books for Young Adults. Vermeer’s Daughter was a School Library Journal Best Adult Book for Young Adults. She is the recipient of numerous grants from the Indiana Arts Commission, two creative renewal grants from the Arts Council of Indianapolis, the 2006 PEN Phyllis Reynolds Naylor Working Writer Fellowship, and the 2012 Eugene and Marilyn Glick Regional Indiana Author Award. She is the Executive Director of the Indiana Writers Center. Learn more here. Ebony Chappel is an award-winning multimedia journalist, certified community health worker and radio host. 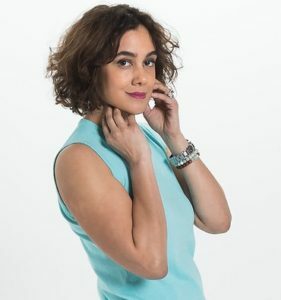 Her work has garnered recognition from the Hoosier State Press Association, National Newspaper Publishers Association and Society of Professional Journalists. Her weekly radio program, “Eye On The Community” which airs on Hot 96.3 FM, is one of the top three shows in it’s Sunday morning time slot. 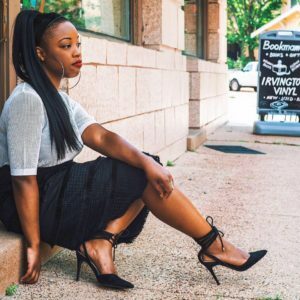 As a dedicated community servant, Ebony volunteers her time with organizations such as the 100 Black Men of Indianapolis, Indianapolis Public Library and Indianapolis Press Club Foundation. Sonny Paradise has spent decades in the rap game and is host of a new monthly Hip Hop Nite at Square Cat Vinyl showcasing the best that Indianapolis has to offer. 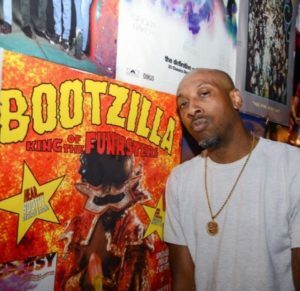 He’s been honored to share the stage with De La Soul, Bone Thugs-N-Harmony, Wu-Tang Clan, Digital Underground, and others. 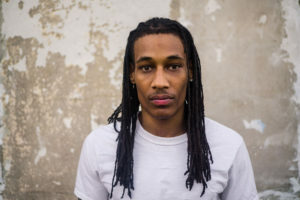 He draws inspiration from artists and has gained respect of his fellow lyricists and producers alike. Yadin Kol is a captivating guitarist, singer, and songwriter who began his music career in February of 2016. Born and raised in Atlanta, GA as Justin Holloman, he eventually became aware of the translation of his name into Hebrew, and adopted it as his own. Yadin Kol means “God is Judge of All.” As a passionate and soulful performer Yadin takes listeners on a musical journey where love and faith balance the ills and injustices of society. By virtue of being raised in the household of a life-long educator, Yadin did not take the traditional route to becoming an artist. In music, however, he discovered a passion that knows no equal. He believes music lives and breathes just as we do, and is a source of liberation and serenity for all. Learn more here. Chantel Massey, hailing from Indianapolis, Ind., is a poet, actress, educator, and author of Bursting At The Seams: A Collection of Poetry (Feb.2018,VK Press). Massey has performed across various platforms, facilitated poetry workshops, and published work with FAFCollective. Currently, she teaches at a middle school, where she encourages students to independently critique ideas, self-advocate, work hard, and to be resilient. 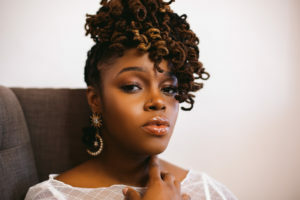 Massey is authentic and original in her writing and performances. 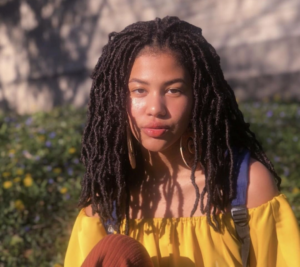 As a passionate writer and poet who loves to play with imagery, her writing explores human rights, social justice, womanhood, sexuality, religion, spirituality, and more. She wishes to inspire others through art to think better and higher about themselves and each other through self-expression. Massey is passionate about education, youth development, art and self-expression. You can find her hosting with poet, Eric Saunders, at growing Tea’s Me Cafe Open Mic every first Friday of the Month.